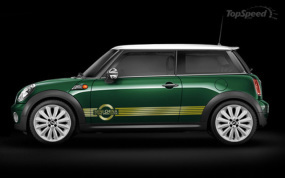 The London Olympics are about to roll and so is a new, special edition MINI Cooper! 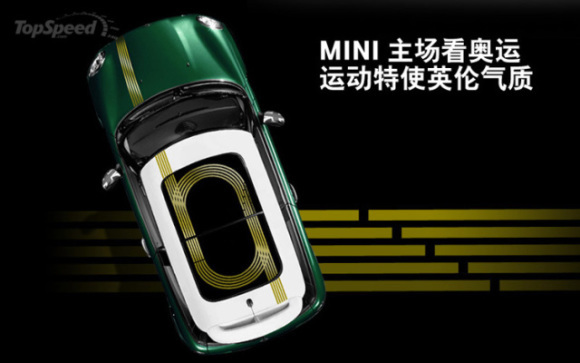 The 2012 MINI Cooper China Olympic Special Edition is, as you may have guessed, exclusive to China and features a unique gold running track graphic on its roof. MINI is playing up their British heritage (though they're owned by Germany's BMW) this year in conjunction with the 2012 Olympic Games being held in London for the first time since 1948. The original MINI is almost that old, first coming off the line in 1959 and in production relatively unchanged (visually, at least) until October of 2000. Brit-com fans will know the tiny, boxy national icon as the inimitable Mr. Bean's canary-yellow ride of choice. 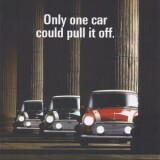 Others will warmly recall the trio of MINI Coopers who were the real stars of 1969's box-office blast The Italian Job. The next generation revamped, re-invented and re-imagined MINI has been in production for over a decade. 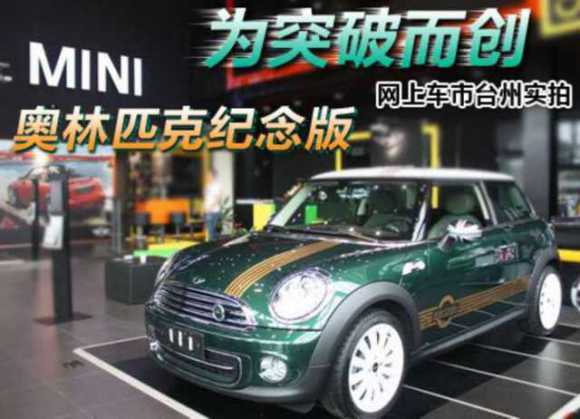 As a tip of the hat to their loyal and increasing market in China, MINI is offering a unique paint and graphics package, the “China Olympic Special Edition”, beginning in July of 2012 and priced at 296,000 RMB or about $46,500. The cars are finished in British Racing Green paint highlighted by five-striped gold banding along the lower sides and over the roof from the left front grill to the right rear bumper. Once the banding hits the white-painted roof, it makes an oval loop-de-loop on the tinted glass sunroof – the effect approximates the 5-lane running track where many of the Olympic track & field events will take place. 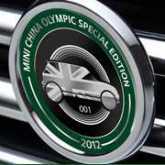 Other features include a numbered “MINI China Olympic Special Edition” grill badge and unique gray-scale Union Jack flag mirror caps. 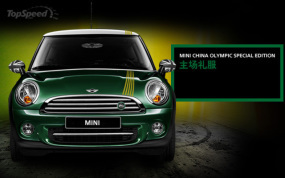 Curiously, there's not a single 5-ringed Olympic logo to be seen anywhere on the car, regardless of the fact MINI is the official partner of the Chinese 2012 Olympic delegation. Pandigital's All-In-One HDTV, Digital Photo Frame, And Cookbook! Wow this China Olympic special edition is really superb and I am so happy to visit this website, actually I like to see any stylish cars and this cars color is very wonderful. So thanks for sharing this and I will definitely visit again this website.